Three generations of the Brown women travel west together on the Oregon Trail, but each seeks something different. When the trail divides, a decision must be made that could bring survival or tragedy. The challenges faced will form the character of one woman - and impact the future for many more. Already well versed in the natural healing properties of herbs and oils, Jennie Pickett longs to become a doctor. Jennie cares for an elderly woman using skills she's developed on her own. When her patient dies, Jennie discovers that her heart has become entangled with the woman's widowed husband, a man many years her senior. Their unlikely romance may lead her to her ultimate goal, but the road will be winding, and the way forward will not always be clear. Letitia holds nothing more dear than the papers that prove she is no longer a slave. They may not cause white folks to treat her like a human being, but at least they show she is free. 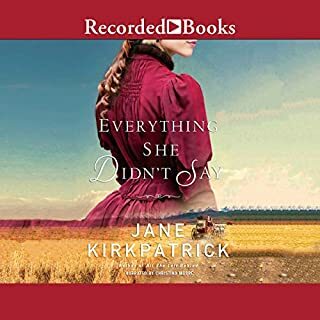 She trusts in those words she cannot read - as she is beginning to trust in Davey Carson, an Irish immigrant cattleman who wants her to come west with him. In 1896 Norwegian American Helga Estby accepted a wager from the fashion industry to walk from Spokane, Washington to New York City within seven months in an effort to earn $10,000. Bringing along her nineteen year-old daughter Clara, the two made their way on the 3500-mile trek by following the railroad tracks and motivated by the money they needed to save the family farm. Wonderful historic story that should be known! After 25 years of traveling and shaping the American West with her husband, Robert Strahorn, a railroad promoter, investor, and writer, Carrie Strahorn decides to write down what was really on her mind during those adventurous nomadic years. Certain that her husband will not read it, and in fact that it will only be found after her death, Carrie is finally willing to explore the lessons she learned along the way, including the danger a woman faces of losing herself within a relationship with a strong-willed man and the courage it takes to accept her own God-given worth apart from him. Filled with heart-warming insight and glimpses of real-life pain, A Sweetness to the Soul paints a brilliant picture of love that conquers all obstacles and offers a powerful testimony to the miracle of God's healing power. Young Emma Wagner chafes at the constraints of Bethel colony, an 1850s religious community in Missouri that is determined to remain untainted by the concerns of the world. A passionate and independent thinker, she resents the limitations placed on women, who are expected to serve in quiet submission. During the fur-trapping era of the early 1800's, Marie Dorion refuses to be left behind in St. Louis when her husband heads west. 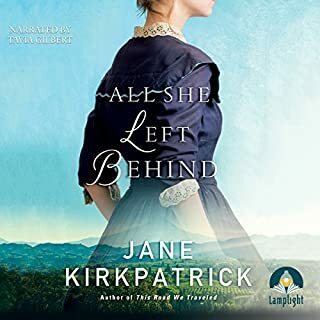 Faced with hostile landscapes, an untried expedition leader, and her volatile husband, Marie finds that the daring act she hoped would bring her family together may, in the end, tear them apart. History records that on the journey, Marie may have briefly met Sacajawea, the famous interpreter who accompanied Lewis and Clark. She too was married to a mixed-blood man of French Canadian and Native American descent, and was raising a son in a white world. Eliza Spalding Warren was just a child when she was taken hostage by the Cayuse Indians during a massacre in 1847. 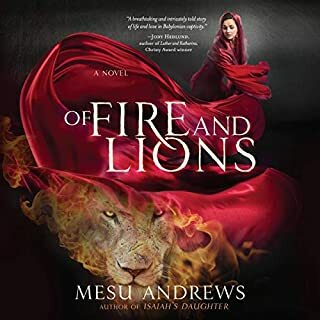 Now the young mother of two children, Eliza faces a different kind of dislocation; her impulsive husband wants them to make a new start in another territory, which will mean leaving her beloved home and her departed mother's grave - and returning to the land of her captivity. Eliza longs to know how her mother, an early missionary to the Nez Perce Indians, dealt with the challenges of life with a sometimes difficult husband and with her daughter's captivity. When Eliza is finally given her mother's diary, she is stunned to find that her own memories are not necessarily the whole story of what happened. Can she lay the dark past to rest and move on? Or will her childhood memories always hold her hostage? 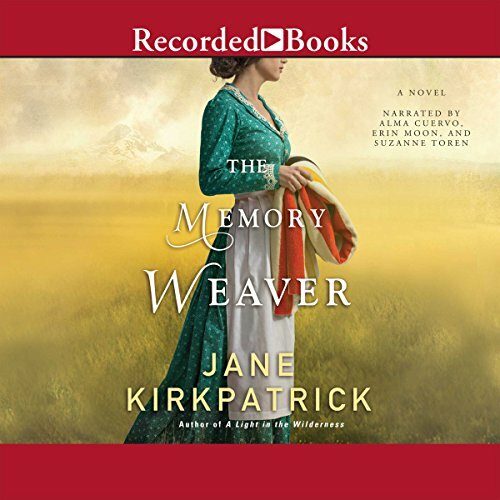 Memory Weaver is a treat for those who love historical fiction. It tells the true story of Eliza Spaulding Warren who was held hostage during a Cayuse Indian raid in 1847, then continues with her life in the Pacific Northwest. 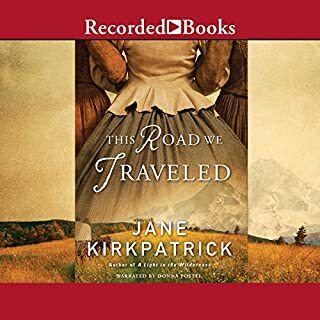 Ms. Kirkpatrick did a remarkable job of transporting the reader into the life of a young girl and mother who became one of the first white women to settle in present day Idaho. I loved the story and the readers. Well done. I like how the story shifts from mother to daughter. The Memory Weaver is based on the true account of Eliza Spaulding, daughter of pioneer missionaries Henry and Eliza Spaulding, who ministered to the Nez Perce Indians. The book has realistic historical detail and a thought-provoking plot that kept me engaged throughout the story. 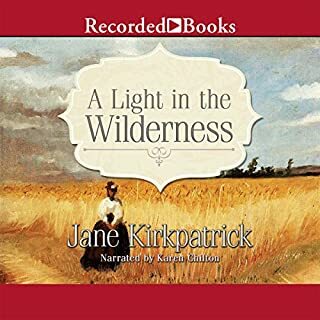 Another wonderful Christian Historical by master story teller Jane Kirkpatrick. 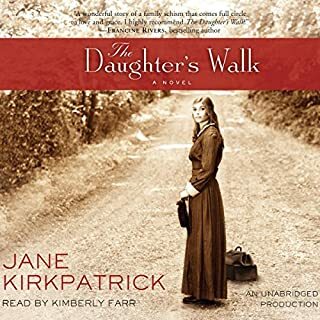 Jane Kirkpatrick is my favorite author. Good clean Christian historical books. Just absolutely a great book! !